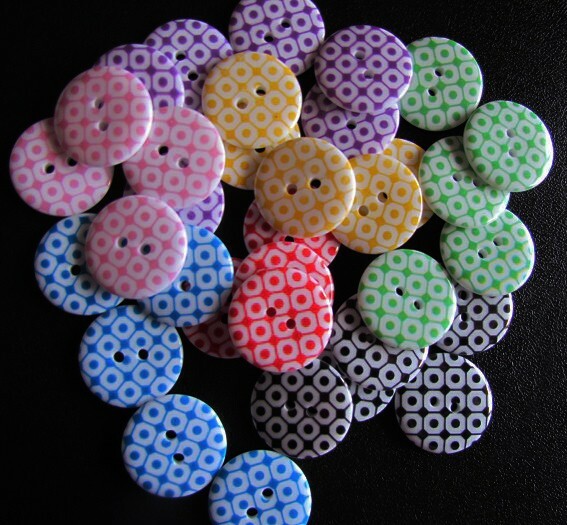 28 Mod Retro Style Funky Buttons. 7 Colours and you recieve 4 of each colour. "Thankyou for visiting my store and happy crafting."